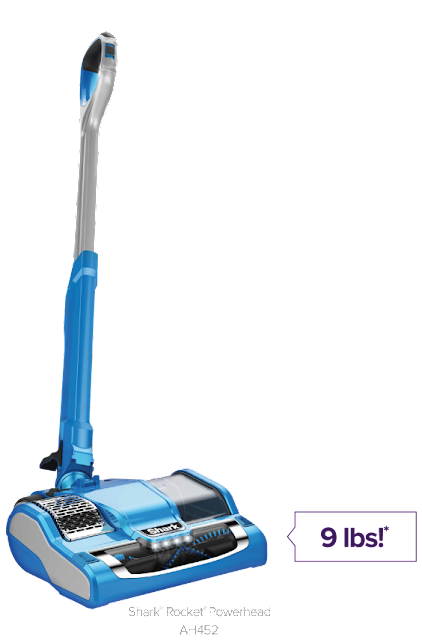 When my hubby and I first moved into our home we were given a hand me down vacuum cleaner. I HATED it! I felt like I spent more timing clean out that vacuum and its clogged tubes then it did cleaning my floor. When the motor finally burned out I did a happy danced and kicked the thing. Then my hubby found one at a yard sale NO WHY!! WHY VACUUM GODS DO YOU INSIST ON PUNISHING ME!! Like the first this one was a pain. It would stall and for no reason at all just decide it was done working for the day and shut off. When it fell down the basement steps and shattered no one seemed to question it. And they definitely didn't look to hard at the shoe size imprint my foot left in the back of it. My hubby just got a huge smile and said he would look on ebay for a replacement. At this point in time I got a little violent and told him if he so much as brings one more piece of junk vacuum cleaner into this house the next one that breaks is going to be over his head! Dear readers please note I would never really hurt the man. He knew this too because all he did was smile at me and said I was to short to hit him on the head with something :( and he is right. He did compromise though and said I could go get a new vacuum cleaner of my choice. Well this was great I couldn't wait! I went online and did hours of research. That is when I found it the Shark! I went to Bed Bath and Beyond that day and picked it up. I have been in Vacuum heaven ever since! Not only does it get up every speck of hair, but I also use it to unclog my other (different brand) handheld vacuum cleaner! I use it to clean the lint from my dryer and my hubby even used it once to unclog the tub drain. He got a blast for that one, the vacuum cleaner smelled bad for weeks!! I loved it and for the first time in forever my vacuum and I had a good relationship. Now as I mentioned I did have an off brand handheld vacuum cleaner. 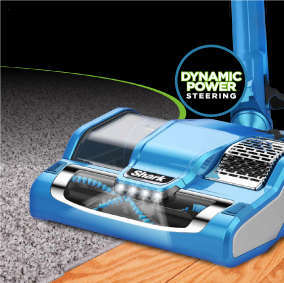 This one is nice for quick jobs and doing the floor of my car. It just isn't a Shark though and try as it might it can't fill those shoes. So when I found out that Shark now had a new light weight vacuum I was beyond excited! It never loses suction! It easily goes from carpet to hardwood and it gets the job done right the first time. The cord is really long so I can do both rooms without having to switch outlets. The head is large and covers a pretty big area. There is also a switch I can pull back when I am going to vacuum high carpeted areas. Plus you can switch which Brussels you use. Making it perfect for any flooring. I have to say I have had my share of duds in the vacuum department, but Shark exceeded my expectations every time! No wonder so many people love Shark.